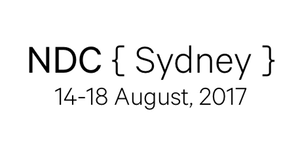 Are you going to NDC Sydney August 14th - 18th 2017? So will I! I have the honor to do a talk on Azure Data Lake & Analtics called "Analyzing StackExchange data with Azure Data Lake". By using a data dump of the well-known StackExchange websites, I will show you how to store & analyse 150+ GB of data with Azure Data Lake Store & Analytics to gain some insights about their users. After that we will use Power BI to give an at-a-glance overview of our learnings. If you are a developer that is interested in big data, this is your time to shine! We will use our existing SQL & C# skills to analyse everything without having to worry about running clusters. You can find more information about my talk here.